El Templo de la Santa Muerte de Tultitlan is quickly becoming one of the most stable and well developed devotional centers associated with Saint Death. The temple’s proprietress, Enriqueta Vargas, recently traveled to New York City to meet with Queens shrine holder Arley Vazquez, marking one of the first cross country meetings of high profile devotees. Even more powerfully, Enriqueta’s son, Jonathan Legaria Vargas, who was murdered in 2008 has become the first person sanctified as an intercessor in his own right within the tradition (Click Here to read more on Jonathan’s sanctification.) 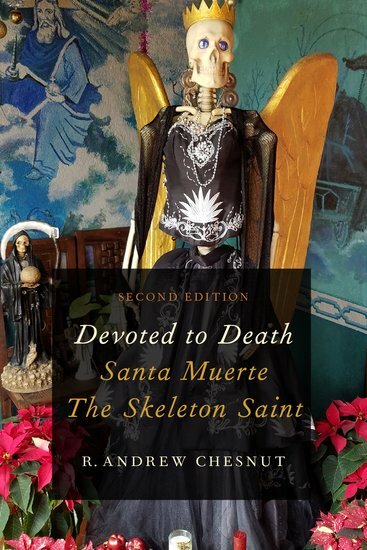 More than anywhere else El Templo de la Santa Muerte shows signs of Saint Death’s devotions separating distinctly from it’s foundations within folk Catholicism.